Sony’s latest games studio has done something relatively rare for E3 – shown off a new type of game. Richard Taylor discovers how Entwined came about. The post Apple Seeds OS X Mavericks 10.9.4 Beta 2 to Developers appeared first on AlliOSNews. MIAMI (AP) — Investigators must obtain a search warrant from a judge in order to obtain cellphone tower tracking data that is widely used as evidence to show suspects were in the vicinity of a crime, a federal appeals court ruled Wednesday. The ruling does not block investigators from obtaining the records that show which calls are routed through specific towers as well as which phones are nearby. It simply requires a higher legal showing of probable cause that a crime is or was being committed to obtain a search warrant rather than a less-strict court order. “The court soundly repudiates the government’s argument that merely by using a cellphone, people somehow surrender their privacy rights,” said ACLU attorney Nathan Freed Wessler, who argued the case. He said no other federal appeals court had ruled on the issue. The U.S. Supreme Court, while also not yet ruling on cellphone tower records, in 2012 decided that secretly attaching GPS devices to track suspects’ vehicles also constituted a search under the Fourth Amendment. The justices did not, however, decided that investigators must always obtain a search warrant to do that. The 11th Circuit decision, which relied heavily on the GPS decision, applies for now only in Florida, Georgia and Alabama. The judges said other circuit courts had considered similar arguments, but not in a criminal case. Ultimately the issue will likely have to be resolved by the Supreme Court. The ruling came in the Miami case of Quartavious Davis, who is serving a 162-year prison sentence for a string of violent armed robberies. The judges refused to overturn his convictions and sentence over the cellphone tracking issue. They applied a “good faith” exception preventing authorities from being punished for relying on a law later found unconstitutional. The cellphone tower data used at trial placed Davis near six of the armed robberies for which he was ultimately convicted. Investigators analyzed tower data over a 67-day period for four suspects, including more than 11,000 data points for Davis himself. The appeals court did agree to a separate argument by Davis that his sentence was improperly enhanced for “brandishing” a firearm, sending the case back to Miami district court for resentencing on that issue alone. A new report on the state of digital news finds established brands are still the main players and few people are prepared to pay for online content. When you walk by a homeless person on the sidewalk holding a cardboard sign, you might see an anonymous face struggling to survive. When the team at the Arrels Foundation see those people, however, they see artists. Coupled with the brainpower at Cyranos McCann advertising agency, the Barcelona-based homeless center launched HomelessFonts.org. The website features fonts created using the handwriting of local homeless people, ready for purchase by marketers aiming to personalize their brands, according to Osocio. Revenue raised through HomelessFonts goes toward the foundation, which offers accommodation, food, social programs and health care to those it services. Last year, the organization worked with 1,354 people — nearly half of Barcelona’s 3,000 homeless. So far, 10 individuals are featured on the website, and five of their fonts are for sale. Loraine Halgabary, who is originally from London, has a typeface for purchase on HomelessFonts.org. In a video highlighting her story, Halgabary said her passport was stolen and used for something illegal while she was in Barcelona on vacation. Stranded in a foreign country unable to access any resources at home, she began sleeping in a warehouse. The video shows Halgabary happily holding a bottle of wine with her font on it in front of an entire display of identical product. The team at the Arrels Foundation aren’t the only ones who see the artistic potential in the most vulnerable among us. Willie Baronet, an advertising professor, began buying signs held by homeless people on the streets in 1993 and, after years of contemplating what to do with them, produced an art exhibit to build awareness for the homelessness crisis. (See slideshow below). Visit HomelessFonts.org to learn more about their mission. When Herb Hartman wants to fuel up his prized 1991 Cadillac, he heads to the chopping block, not the gas station. Hartman, a retired machinist in Woodward, Iowa, has attached a so-called gasifier to the back of the car that turns lumber into gas. It only cost him $700 to attach the large tank to the Caddy and his friend supplies wood so he’s able to go joyriding on a budget, according to WHO-TV. He still needs the gas engine in order to start the car though. “A full hopper will go about fifty miles depending on how you drive it,” he told the station. Of course, that’s not taking into account the hours he spends collecting the wood and splitting it to fit in the gasifier. “You are messy.” “You are wrong.” “You are bad.” These are common statements made by teachers and parents. What is wrong with these words? The answer may shock you. Image from courtesy of OWN. 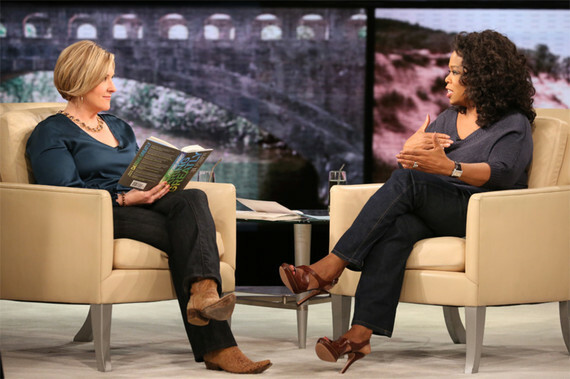 Dr. Brene Brown sits with Oprah Winfrey on OWN. As an award-winning rocket scientist and TV personality who educates as a part-time math professor, I jumped for joy when Brene explained this important concept. Shame has been the number one tool used, and it has caused the number one educational fear. The initial statements — “You are messy; you are wrong; you are bad”— debilitates students and plants a severe fear into the brain that I have identified as Mathaphobia®. After 20 years of helping students, I discovered the three main mathaphobia sources: parents, teachers and school systems. Through selective comments and actions, parents and teachers unknowingly promote fear within learning. 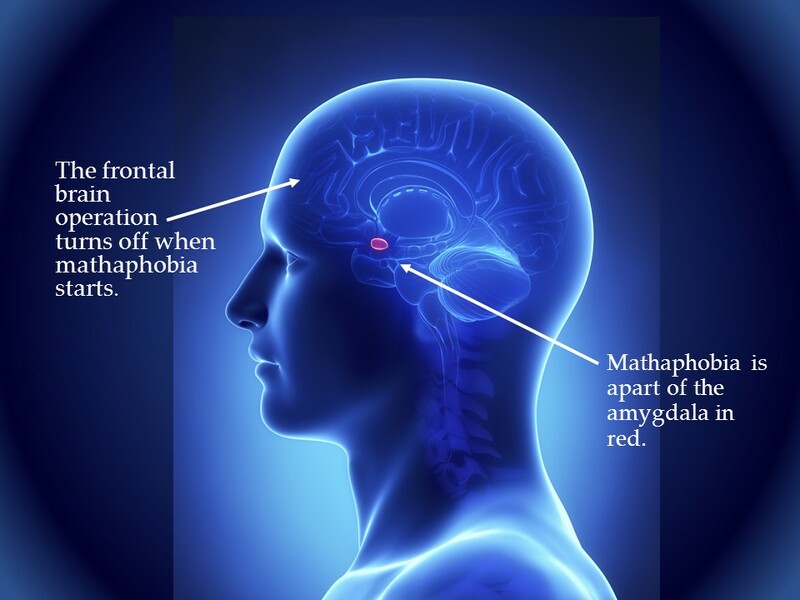 Consequently, mathaphobia dominates a person’s thinking, shutting off frontal brain lobe activity. And these lobes are required in all problem-solving. In daily life, as in STEM fields, the frontal brain lobes are needed in finding solutions. Today, I will focus on empowering teachers to lead through change. Although I have professional success now, I was not immune to classroom shame and fear. When I was in fourth grade, I experienced a teacher who penalized students for making mistakes. I call her “Mrs. Subtraction.” When we made a mistake, Mrs. Subtraction said, “You are wrong.” And if we made any mistake, we were “bad.” As a result, I dreaded attending class and arriving on time. Years following, I falsely thought perfection achieved “goodness.” This fear presented itself as a mathaphobia® character I call “Donna the Over-Doer.” I overdid, over-achieved, and wore myself into the ground trying to prove my self-worth until I became aware of these actions. Some teachers inadvertently shame students by making three huge mistakes. They describe students negatively, imply that some questions are dumb, and make students feel bad if a previous concept is misunderstood. When teachers use statements like “You are ….,” a student falsely defines themselves as the description. For example, a student translates “You are bad…” into thinking “I am bad.” A student translates “You are messy” into never achieving a clear-mind. Many teachers are unaware that these statements impact brain function. However, I share three easy strategies to help refocus the teaching communication before fear has a chance to spread. 1. Focus on the product, not the person. Image of NASA’s Atlantis Space Shuttle courtesy of NASA. When I worked in a NASA team launching 28 Space Shuttle missions into Space, we did not have time to focus on feelings. The focus was redirected to the product. Here we learned to focus on corrective actions, so we could meet the important launch time-window. 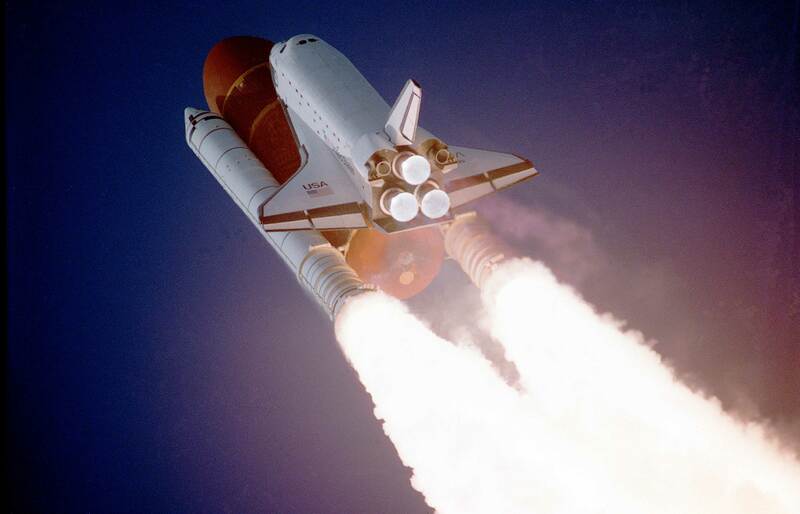 The mission was to launch the Space Shuttle and astronauts on-time and safely. This approach can apply to the classroom. Teachers have limited time. When correcting student actions, focus on the product, and not the person. By focusing on the product and outcome, the teaching mission is accomplished without distraction. To reprogram the brain for example, you can replace the focus in each of the following statements. 2. Decided no question is a dumb question. Image of TED Speaker Olympia LePoint at the TEDxPCC, TED Conference. In my TED Talk, I share that my high school math teacher helped me regain confidence in asking questions. Later in life, this skill helped me to become a top scientific researcher, gaining international recognition. Questioning is the most powerful skill in all scientific discovery. As an educator now, I hear the biggest student complaint: “That teacher did not want to answer my question.” Too often, students feel intimidated by educators, because these teachers do not answer their curiosity. When considering a lecture schedule, sometimes there is no time for questions. However when considering how people learn effectively, the absence of questioning is the most detrimental aspect responsible for embedding fear. When maintaining a lecture schedule, you can take a few effective steps. If someone has an elementary question, simply answer it, and move on. Also when a student asks a question, chances are that five-to-six people have the exact same question, but others may be too shy to ask. Students need to feel empowered to become beginners again. 3. Apologize to a student. 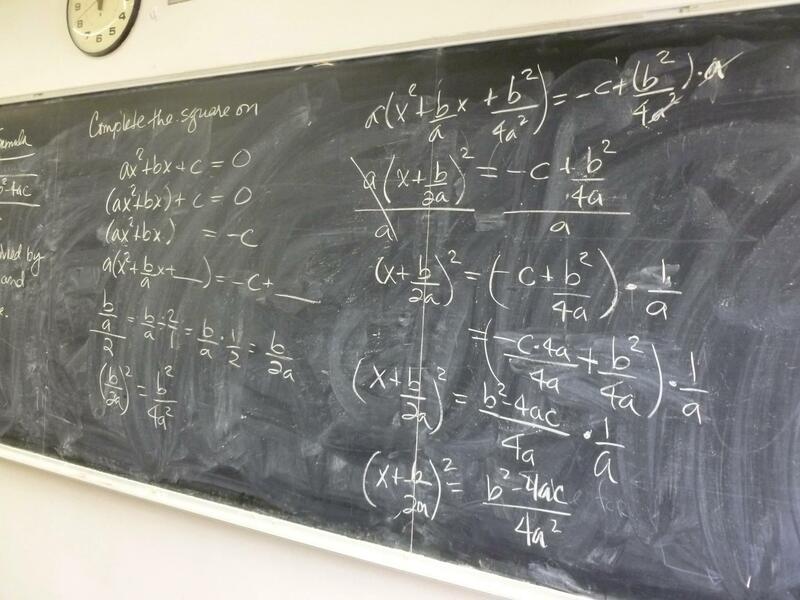 Image from an Olympia’s-End Mathaphobia Now lesson. Caution: this step is only for those individuals who are strong enough to lead. Recently, a fellow teacher lost his patience while helping a student during a class assignment. The teacher was annoyed that Billy “should have already known” the basic math principle. Instead of explaining the concept to Billy, the teacher said, “You should know how to do this already.” The teacher left and went to other students asking for help. The next day, Billy demonstrated a negative learning attitude towards the teacher. Needing empowerment, the teacher sought my advice. Billy looked surprised, and he accepted the teacher’s apology. In the following weeks, Billy worked more diligently and asked more questions, becoming more eager than before. Billy earned an A in the class. The teacher was happy. The student was happy. From my teaching experience, students have vulnerability issues in addition to their fear. If a teacher is willing to admit imperfection, the teacher becomes admired as a leader. Respect is granted. By stating corrective measures and adhering to them, a teacher leads in regenerating respect from everyone. 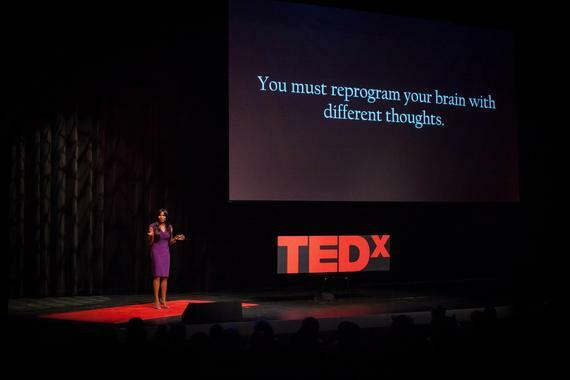 In my life, it took time to reprogram my brain for success. I, Olympia LePoint, devised strategies like these to become the mathaphobia® problem-solver I call “Sarah the Strategist.” Take this information and create new ways for educational success. Raise your hand if you’ve ever been confused about whether or not you were “on a date.” Put your hand down, you look like an idiot. This is the second in a series of posts on dating in the Internet age. You can read the first post here. A recent survey of nearly 2,500+ singles revealed that 69 percent of respondents (aged 18-59) were at least “somewhat confused” about whether a date was actually a date. Think about the myriad reasons of why we date and this makes sense: with so many possible endgames, there’s no guarantee that your idea of a date (much less “dating”) will align with mine. We (singles? humans?) are terrible at defining what exactly a “date” ought to entail – and given the age range of respondents, it’s clear the confusion isn’t limited to millennials. The date-not-date is one of my least favorite things to navigate, but also one of my favorites. You + [mutual friend/new co-worker but in a totally different department/friend’s roommate, etc. ], partaking in a decidedly datey but also potentially platonic activity (which in San Francisco could really be anything: hikes, bikes, dinner, concert, the works). Is it a date, or isn’t it? Did you just ask me out, or was that a harmless suggestion to hang out as friends? If we hang out on a Friday night, does that make it a date? If we don’t kiss at the end of this date-not-date, does that mean it wasn’t a date, or was I (you?) supposed to give indication that I wanted it to be a date after all? If a tree falls in the forest and no one is around to hear it, does it make a sound? 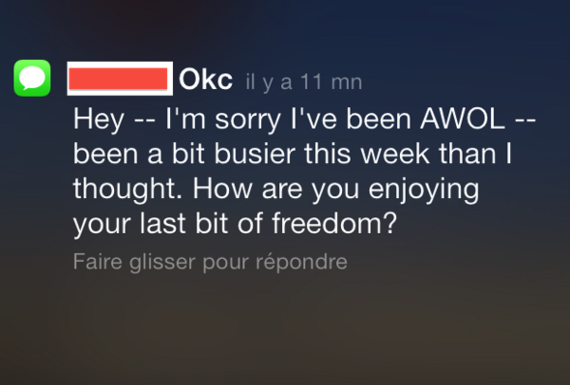 “Dear person of interest, I would like to take you on a date.” Clearer words have never been uttered and rarely are. The date-not-date demands headspace for interpretation. The date-not-date can be fun or exhausting, depending on what you’re looking for – but you probably haven’t clarified that. Some of us love that equal parts murky and delightful friend-not-friend zone; some of us loathe it (but often still hang out there). If you hate the ambiguity of the date-not-date, there are two ways around it. #2: Stick to online dating. 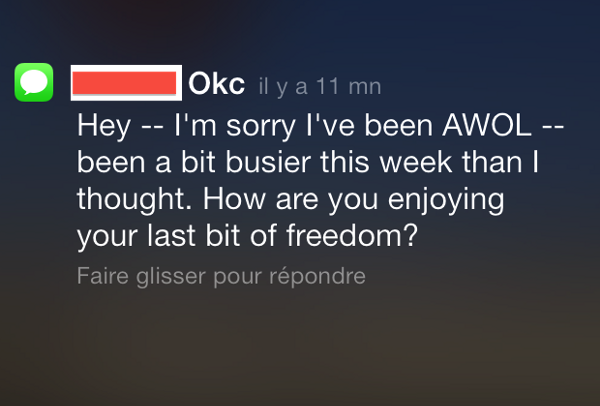 No one’s going to “guess” if an OkCupid meet up is a date or not. It’s a date. We all know why you’re there. Friends, the online dating pool has gotten pretty good. (In some cities, it’s really, really good.) This makes sense when you realize that everyone you know is using or has used a dating app recently, and you probably know some pretty cool people. Great! But this also means that you will 100 percent swipe through co-workers on Tinder and exes on OkCupid – that’s a fact. The guy you are currently “dating” (going on dates with?) will show up in your OkCupid matches (online now!) while you are texting him about maybe or maybe not making plans soon. You will recognize people you shouldn’t and wonder why. Want a hint as to why that person at that [meetup/bar/cafe/industry event] looks so familiar? 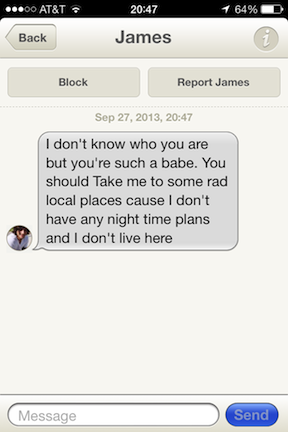 That’s AdamNYC and James from Tinder, and you’re still not interested. Remember this guy? Still not getting a response. Welcome to online dating! Congratulations, the world just got smaller. Once you accept this fact you can move on to the fun part: the actual courtship part (and yes, I think we can call it that). No matter how you first meet your potential suitor, it’s the flirting in between that keeps things going. (There are some best practices for optimizing your opening messages for online dating platforms, but that’s an entirely different article. Actually, an entire book.) I won’t get into conversion funnels and drop-off rates here but let’s just say that micro-interactions – in person and online — are everything. Though of course, what those look like now are constantly changing, too. Micro-interactions and Internet foreplay FTW. 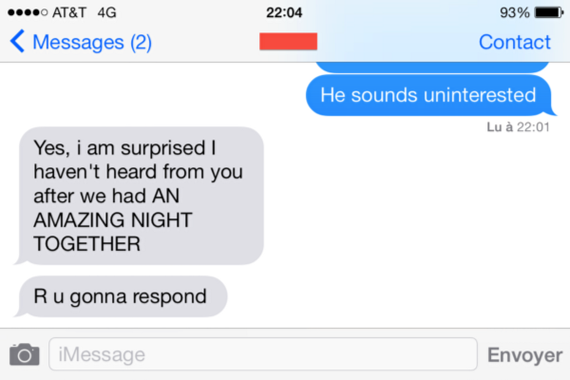 Signaling online or via text, and things get more interesting. All those pokes, comments, likes, & retweets? When it comes to dating, they really do start to add up: data scientists at Facebook found that you can actually tell when couples are in the courtship phase based on the frequency of their Facebook interactions. 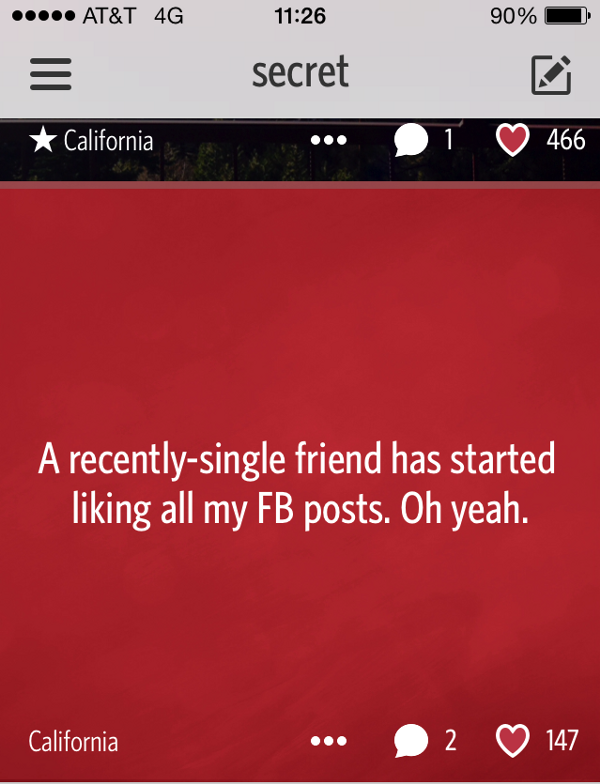 An anonymous post on Secret. Internet foreplay: it’s a thing. Now think of every other platform we Millennials cruise on and flirting starts to get creative: a LinkedIn request can suddenly come with a wink (oh, the irony!). 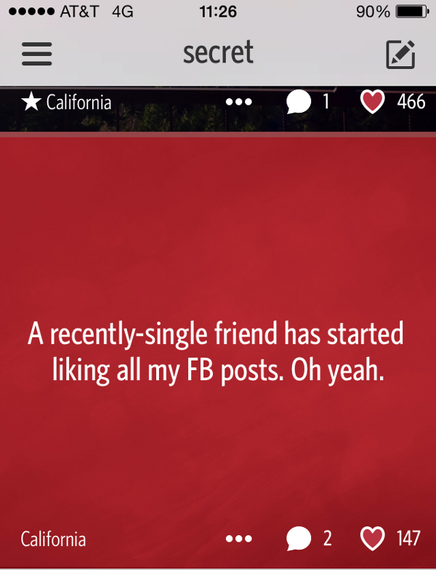 A post on Secret targeted at your crush may or may not fall into his or her stream (how coy and how bashful!). Suddenly that admittedly seductive playlist of yours on Spotify makes for good flirting fodder, too. And join a potential target’s “team” on Jawbone and you’ve stumbled upon a new use case for the activity-tracking band: turns out sharing our sleeping patterns can be surprisingly intimate… and suggestive. Making a move has never come in so many colors. More platforms → more room for interpretation. The downside of all this, you might argue, is that it’s a lot harder to even know when you’re playing the dating game at all. And you know, it’s true that we can’t exactly call home about this sort of stuff. Or at least, my mother, bless her soul, certainly won’t indulge me in that. Our Millennial pals – they know the ropes (ish) and lend a willing ear. We ask our inner circle for advice but hardly gain any real insight: mostly our friends echo what we’ve already suggested. This is unsurprising when you think about it: we’ve been priming our friends to see things from our point of view since we first met! Whose side do you think they’re going to take? 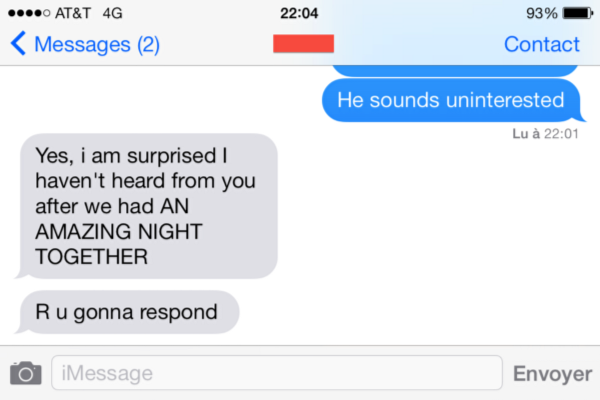 We (my friends, likely yours too) are 100 percent ridiculous when we talk about dating. Our friends have any number of opinions and preconceptions about what a date should be, who we should date, when, and how. Does the changing landscape make dating a little more confusing? A bit harder to wrap our heads around? Sure. Does it make dating any less fun? Quite the opposite, I’d wager. Dating today is like a choose your own adventure or game of Mad Libs with your friends: you have no idea where you’ll end up, but half the fun is in the telling of the tale. Frankly, I never knew my friends were such good storytellers. More on why we date (stories, and hypotheses) in part three of this series. Send your thoughts on dating, not dating, and everything in between to @xsvengoechea. Microsoft is showing off its next Forza racing game at the E3 expo in Los Angeles. Richard Taylor asks if it offers any significantly new. Is Silicon Valley More Dangerous to Your Privacy Than the NSA? Google is correct. We cannot be surprised that companies providing email services examine our “private” communications. At the same time, isn’t this admission contrary to their case against the government? And then there’s Facebook, who along with Google and others, openly partners with database marketers such as Acxiom and Epsilon, which compile and then sell your data. Earlier this year, we learned that in the U.S., Facebook actively tracks visitors on almost 50 percent of the most popular websites. It’s a profitable system based on soulless capitalism. These gross violations of your privacy are indicative of an egregious pattern of documented behavior by Facebook. From Deep Face technology that identifies people in photos, to Graph Search, which makes shared Facebook content accessible through natural language queries, Facebook’s hands are hardly clean. A class-action lawsuit, filed in California against Facebook in January for online privacy violations highlights the argument. Cited in a report from High-Tech Bridge, the Swiss security firm suggests Facebook goes to extremes by scanning links shared through private messaging. And Facebook just added a new feature to its app that accesses your phone’s microphone to record “background noise” for use as a status update. The list of similar privacy violations by these companies reads like a stock ticker. Yet these are the forces leading the charge in support of the USA Freedom Act? Yeah, right. Something else is afoot — something more clandestine. These companies are not railing against the government for data mining. It’s their go-to moneymaker. What they’re fighting against is someone else doing it using their sites. They want to be Top Dog, left alone to secretly conduct business as usual without regulations or intervention. Handing over their treasure trove of information to the government makes them pawns. Holding onto that information for themselves makes them capitalist kings. Remember, the government’s intent behind data mining — for better or worse — falls under the banner of domestic protection against terrorism. Clearly, I don’t believe the government should be allowed to violate our Fourth Amendment rights. The government must be regulated. At the same time, I understand why our government must have the ability to analyze data in an effort to thwart suspected terrorist plots. That’s a slippery slope open to debate, where the law must find a way to catch up to technology. For companies leading the charge in support of the USA Freedom Act, there is a second slippery slope. These companies want to be profitable for themselves and their shareholders. In a capitalist society, they should have that right. But at what price? Not at the expense of my privacy, and not at the whim of crying wolf — essentially, painting the government as the villain on one hand, while violating my Fourth Amendment rights and spying on every aspect of my life on the other. It is time for citizens of the world to take action. We must eradicate this mess ourselves by giving our business to companies that protect our privacy rights. It is a myth that companies must spy on us to make money. History is laden with companies that earned their keep by respecting customers and providing great services. Proof abounds that consumers have and will support such enterprises. A conscious capitalist can be profitable and socially-engaged for the greater good. A hypocritical capitalist filled with dreams of dancing dollars will never serve any interest other than their own. When Silicon Valley is willing to practice what they preach and lead by example, we will ultimately achieve the demands the Goliaths’ of the valley emptily place before our government. It is time for the Davids of the valley to rise! The United Kingdom has long been recognized across the globe as a hub of creativity and innovation. So it should come as no surprise that the British government, along with the European Commission and the Office of Harmonization in the Internal Market (OHIM), is taking on a leadership role in protecting creators and makers by hosting the 2014 International IP Enforcement Summit in London. Earlier this morning, I was pleased to join such notable champions of intellectual property as Ed Vaizey, UK Minister of Culture; Mike Weatherly, IP Advisor to Prime Minister Cameron; Vince Cable, Secretary of State for Business, Innovation and Skills; Francis Gurry, Director General of WIPO; Donald Toon, of the National Crime Agency; and Victoria Espinel, CEO and President of the Business Software Alliance, to kick off this important two-day summit. Today, images, sounds, words and ideas are driving innovation and growth in countries all over the world. In the United Kingdom alone the creative sector counted for 5.2% of this nation’s GDP – amounting to £71 billion – and accounted for 1.7 million direct jobs in 2012. As I told that audience, I believe it is important for all of us in the creative economy – creators, lovers of culture, creative and media businesses, and yes, governments – to share the responsibility of doing everything within our power to ensure that creators and creative industries enjoy the brightest future possible. That means developing strong IP enforcement efforts to tackle infringing websites, and partnering with the advertising sector to cut off advertising revenue to pirate sites. It means finding ways to work with the online search engines that play such a significant role in guiding users to sites with illegal content. And it also means developing and adding to the more than 400 innovative, legal, and consumer-friendly online platforms that exist around the globe today for watching many of the world’s best films and television shows – making it easier than ever for consumers to access the content they love. But, in order for these efforts to thrive and drive further economic and cultural development, the copyright protections that have fostered surges of creativity, innovative business models, and historically unparalleled entertainment offerings must remain strong. It will take all of us working together to ensure that these creators and the industries based on their innovations have the freedom and protections they need. And by bringing together stakeholders from all sides of the IP enforcement debate to share best practices and to talk through options and solutions, this week’s summit is an important step towards ensuring that bright future. Beating the memory game Simon is not an easy feat, but a tech-savvy dad and his daughter managed to crack the code. The process took a whole year, but engineer Ben North and his 7-year-old daughter built a robot that beat the game. (For those who don’t know, Simon is a hand-held electronic game that tests memory with light sequences.) North told Yahoo! that when they played the memory-buster, they didn’t do too well. That’s when North suggested to his daughter that technology could help them. “My daughter was excited by this idea, and we do often make and experiment with things, so we decided we’d give it a go,” dad said. Nervous that his daughter had grown bored of the project a few months in, North suggested that this point would be a fine place to stop. But she wanted to go on. She wanted to get the sensors going so the robot could work independent of human input. So dad obliged, and after installing sensors, they wrote a code to signal to the arms what color to press. To detect Simon’s lights, [Ben] connected four phototransistors to an Arduino. The Arduino records the pattern of lights on the Simon, and activates the Lego arms in response to that pattern. [Ben]‘s version of Simon has only a maximum of 32 steps in the final sequence, but that still means each game takes 528 button presses – and a lot of annoying beeps — to complete. Dad made a video, which you can watch above, that explains how their invention works. He told Yahoo! that his daughter helped from start to finish — from wire cutting to drilling to the design of it all. Considering that teachers spend 43 percent more time on boys than girls in a science classroom setting, involving and encouraging his daughter’s interest will continue to help her stay confident in her STEM abilities. TweetDeck suffered a big hack on Wednesday that forced the service to shut itself down for all users. We’ve temporarily taken TweetDeck services down to assess today’s earlier security issue. We’ll update when services are back up. For those who don’t know, Tweetdeck is a popular program used by Twitter obsessives to manage multiple Twitter accounts and sift through the daily torrent of tweets. If you’re still logged in to TweetDeck, you should log out now and go to your Twitter settings in order to revoke access to the app. The security hole was discovered by a 19-year-old Austrian teenager named Florian, CNNMoney reported. 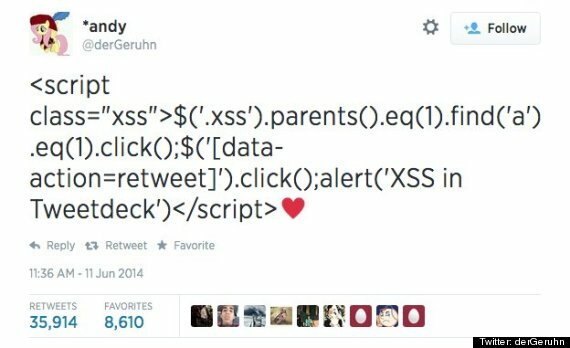 He said he stumbled upon the vulnerability after tweeting the ♥ symbol, which inadvertently opened up a security hole that other hackers could exploit. This entry was updated with information on the identity of the teenager who discovered the security bug. Synaptics has bought out Renesas SP Drivers in a deal worth $475 million, Reuters writes. The latter is a joint venture between Renesas, Sharp, and Powerchip, and produces all of the display chips for the Apple iPhone, though it does have other clients for products like fingerprint sensors. It in fact controls 90 percent of the fingerprint sensor market, thanks to having bought out Validity last year. The 3D printing revolution is here! In this week’s episode of Hardwired 2.0 watch me tour MakerBot Studios and uncover the latest innovations in 3D printing technology. I couldn’t believe all of the products printed using MakerBot’s printers–from figurines to robotic hands to shoes! Be sure to check them out in my gallery. I first met with MakerBot’s CEO Bre Pettis to learn all about the process. 3D printing uses fused deposition modeling, which is basically a fancy robotically controlled hot glue gun. The printers feed a PLA filament through the hot tip on the printer to draw the object one layer at a time, which makes these products typically more affordable than traditional manufacturing. I got to learn about the Robohand project, which makes prosthetic hands for only $5! Next, I met with Francis Bitonti to see how designers are using 3D printing to revolutionize the fashion world. Think custom designer gowns for $400! He recently made a couture 3D printed dress for fashion icon Dita von Teese. So excited to see what’s next in the world of 3D printing. What would you print with a 3D printer? Join the conversation by tweeting me @aoloriginals, @ijustine, #AOLHardwired, @gethardwired!